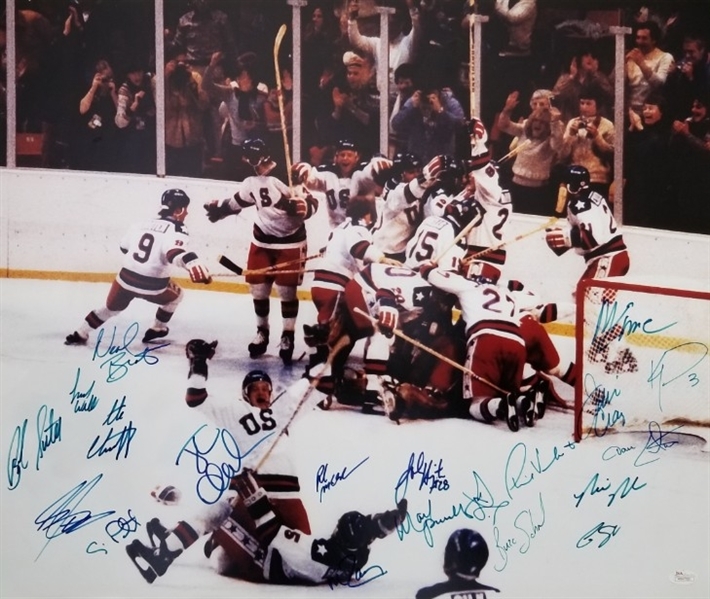 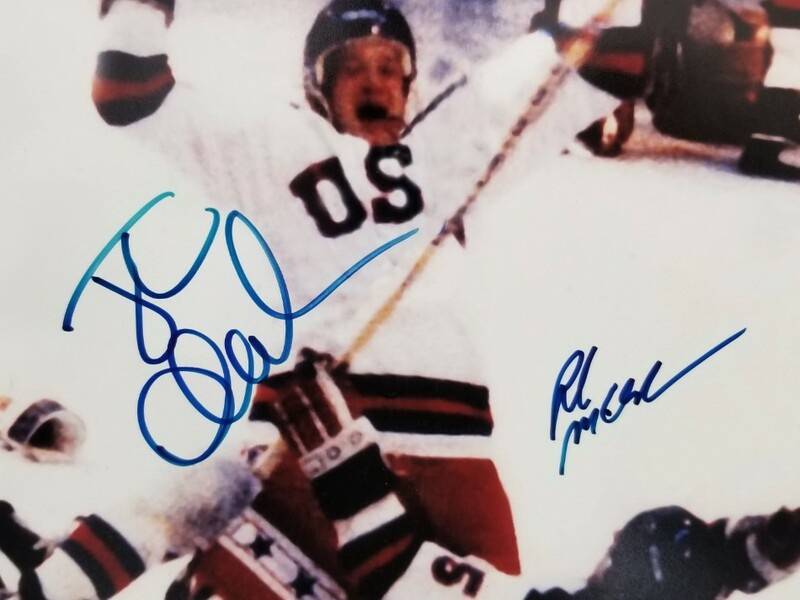 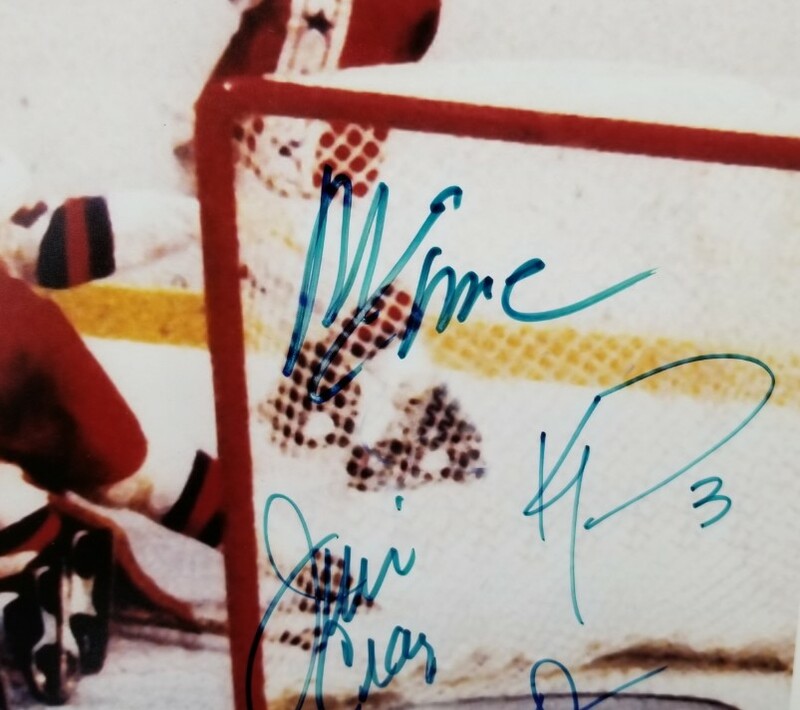 This autographed 20x24 photo has been personally hand-signed by the 1980 USA Miracle On Ice Hockey Team. 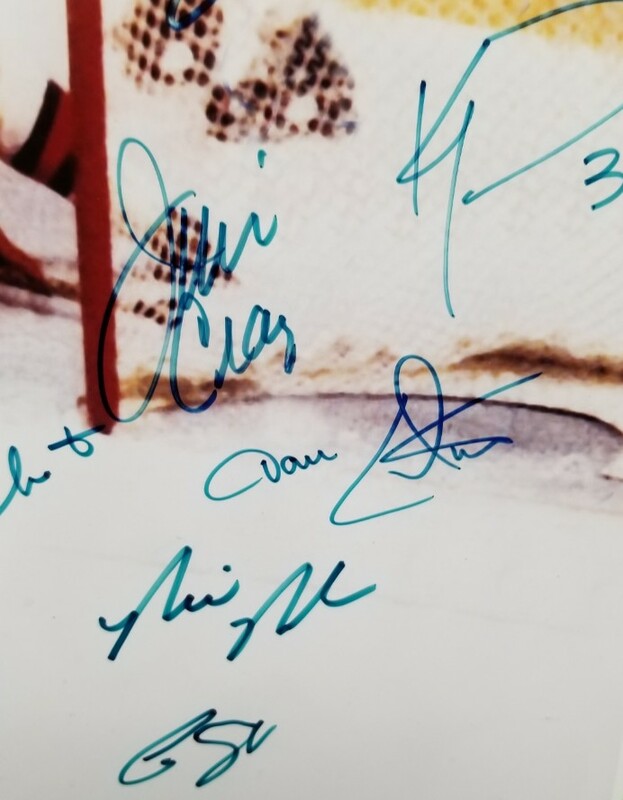 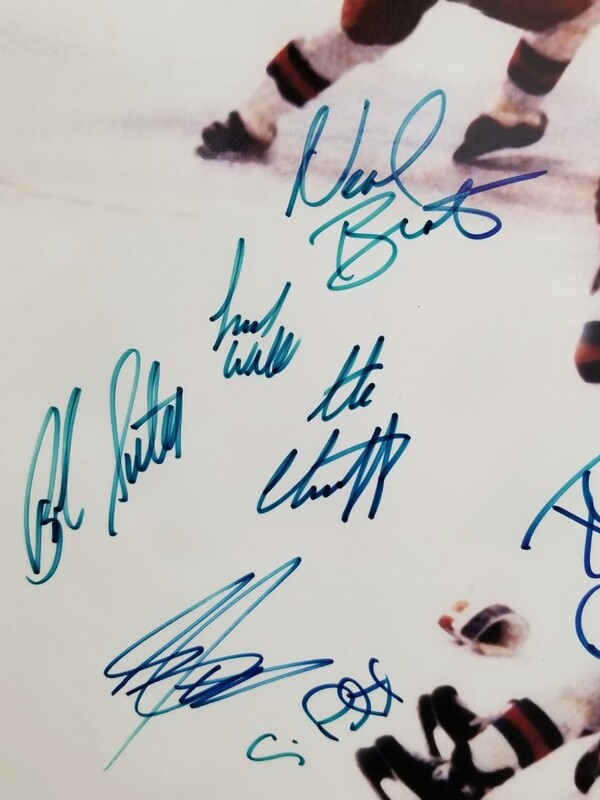 There are 20 total signatures on this photo including Jim Craig, Mike Eruzione, Bob Suter (d. 2014), Craig Patrick, Mark Wells, Ken Morrow, Mike Ramsey, Eric Strobel, Phil Verchota, Steve Christoff, Rob McClanahan, John Harrington, Neal Broten, Dave Silk, Jack O'Callahan, Buzz Schneider, Mark Pavelich, Dave Christian, Bill Baker & Steve Janaszak. 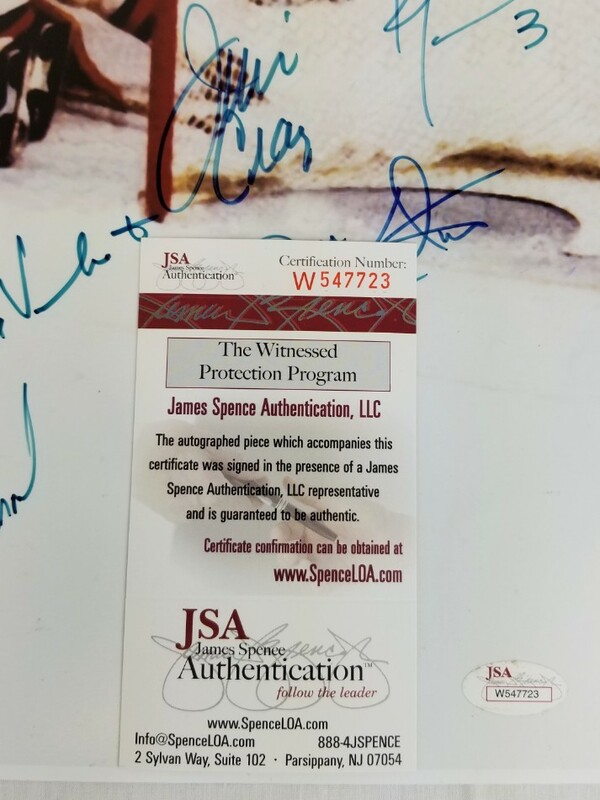 These autographs are certified by James Spence Authentication's (JSA) Witnessed Protection Program. 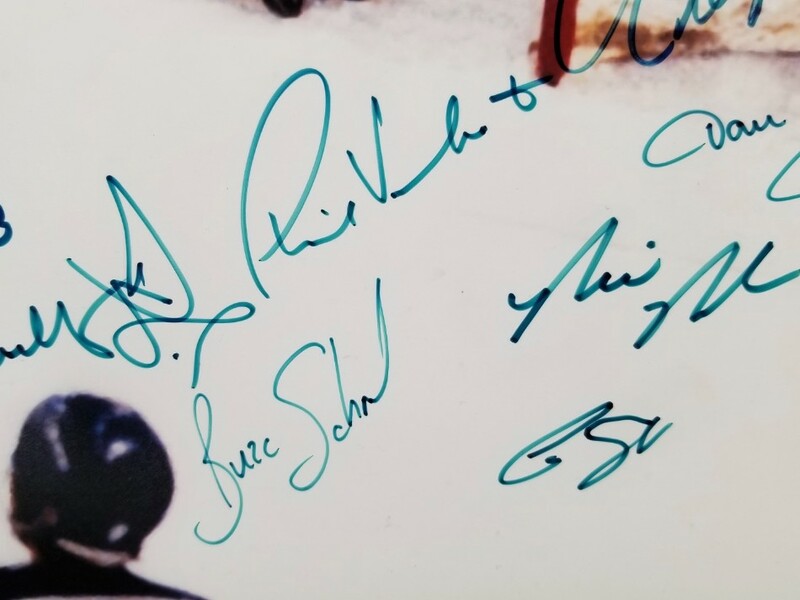 That means that a JSA representative was present when this item was signed. 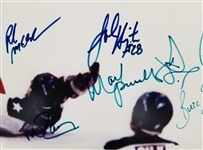 It comes with the numbered hologram and matching Certificate of Authenticity.